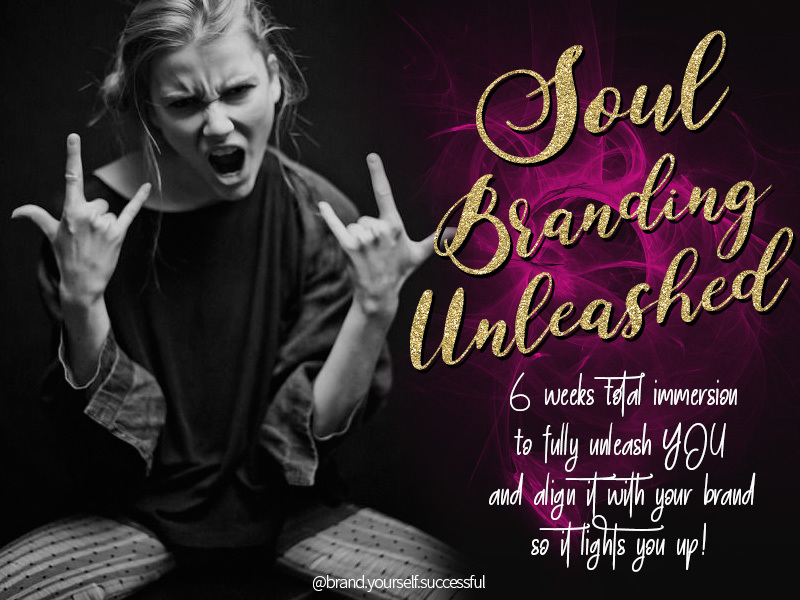 I have just pre-released my brand new ‘out of this world’ 6-week total immersion into YOU and your BRAND group coaching program! So… what is it even all about? I am glad you asked lovely…. This whole program flew out of my mindballs like an idea explosion that just had to be put into play. I am so extra EXTRA excited about this that I can’t even…. I am going to take you on THE ride of getting tuned in and tapped into everything YOU and then…. We are going to CONNECT all of that yummy goodness that is you, to you BRAND! Because when you and your brand are aligned, things just flow! Offers flow, sales flow, dream clients flow, the money flows! That is when business becomes fun and easy. Easy and fun. Sometimes we all get caught up in the business of business. We forget who we are and why we do what we do. Time ticks by, things stay the same, nothing accelerates or is super extra fun anymore. You forgot who you are. Once you tune back in to who you are and take action based on your feelings, desires, inspiration, and what YOU want, that’s when things become fun again. Easy again. It’s not a nice place. To wake up late or feel icky because you really are not stoked to go to work or talk to your not so awesome clients or grind, grind, and hustle for getting nowhere really. It’s when you start to question and doubt everything that you do. So…. Let’s stop with the drudgery right there. Stop. Done. YOU are going to click that link down there and sign up to this insanely amazeballs program that I created JUST FOR YOU! We are going to tune you back in and connect YOU with your brand, then fine tune everything to be in perfect visual and energetic alignment (this is what attracts your dream clients and tribe to you). And it’s just gonna get more and more fun and easier and easier. But…You don’t quite know exactly how to go about it. How to DO THE DARN THING. If you are one of the rule breakers and action takers that are ready to light up their life and business with joy and fun and ease and dream clients and sales… and also know what to do and how to do it…. then check out the deets in the link below. I will shake you up!